BRYAN EATON/Staff photo. 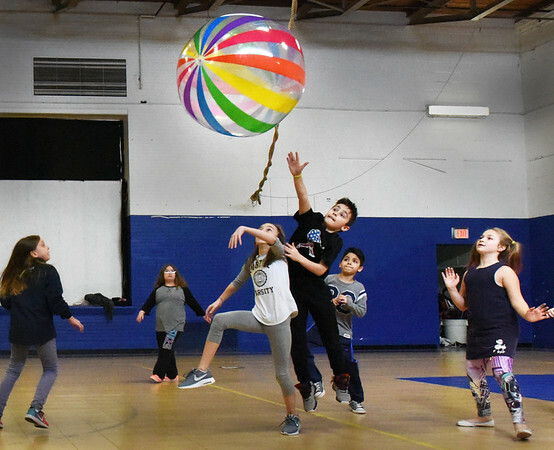 Youngsters play a round of giant volleyball at the Boys and Girls Club on Monday afternoon with the finals to be played on Friday. The club is open this vacation week with special activities each day.